That is alot of data going around man. So um. I have internet on my phone now. So what is the most obvious thing to do with it? Well that’s all good and stuffs, cause it means that I can really just bring my laptop around and connect to the internet. Which means that my blogging trip I’ve mentioned months ago can be fulfilled when I want to! So one more update. I’ve finally received the pictures for the msia trip. And honestly? I look like a fag. So…. I DON’T REALLY FEEL LIKE POSTING ANY PICTURES OF MYSELF UP HERE. 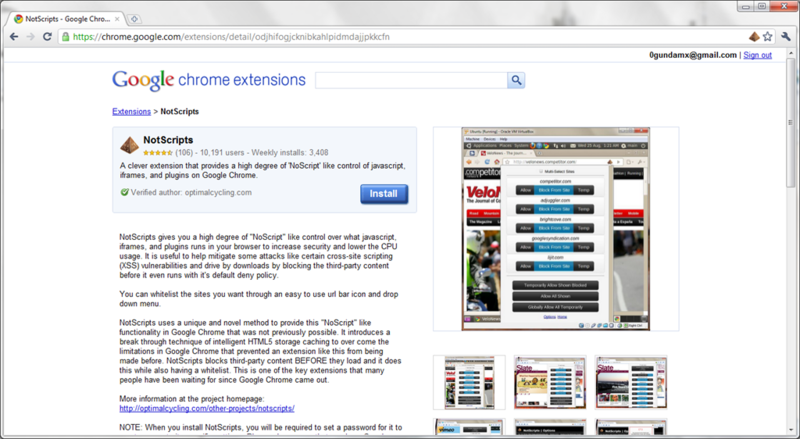 Here’s another great extension that would help you to browse the web faster. Basically, this will stop ALL scripts from running unless otherwise stated. There’s a whitelist / blacklist that you can edit. By the way, there’s a rather… Troublesome step of setting up a password for it before you can actually use it. I’ll say that, as long as you can read the instructions and just follow it. There shouldn’t be any problem. From my experience, I don’t know how much faster EXACTLY it is. But I FEEL like it’s faster.